deleted by mod, please re-read our rules and guidelines. Last edited by stuffler,mike; October 12th, 2014 at 19:44. Last edited by MoodyKeyboard; October 18th, 2014 at 14:16. Hu Moody try this link should help. Hi guys... 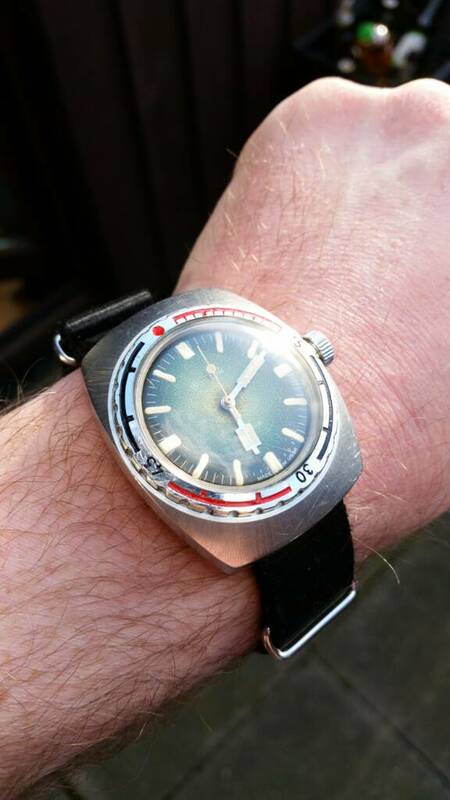 Unfortunately after going through a few pages here, I cannot find any info about my Vostok piece... Anyone able to shed some light? Whats the model in the middle of the pic in Amils post from feb 2012. Sorry but my ipad wont let me quote and reply properly. Last edited by Thelongroad; January 19th, 2015 at 15:19. I received this among some other cases this week. I find very odd these circular lines on the Tonneau case. 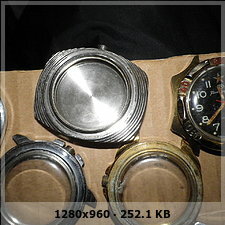 The caseback is engraved in cyrilic, very faint, and can't read. The biggest mark is "55 Лети" which means 55 years. Due to the cuality and craftmanship I doubt it is a knock off or an individually commisisioned watch. Would bet it could belong to a small batch. Can anybody shine some light on it? The Amphibia Type 470 (brushed case) is a separate model from the polished case. Сергей Антонов's scans of catalogs, the Восток 90-ые specifically, shows the polished case listed as a Type 320.